Producing the perfect environment that is inviting, comfortable and an “exceptional reflection” of your company or product is what we do. 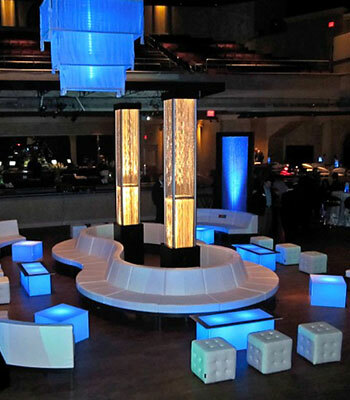 Creative form following function… our design teams are the BEST in the business at making you look good in any setting or venue. Our years of experience makes even the most challenging arenas or schedules workable, with amazing results. 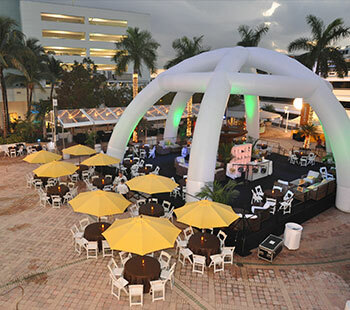 From elaborate tents and dÃ©cor to mobile/traveling exhibits and stages, we have thought and anticipated every detail for a flawless experience… for you and your attendees! Getting in the Mood to Talk Business… is a lot easier in the right surroundings. From cozy lounge areas with plenty of face-to-face settings to full ballroom productions with the latest AV technology to make your attendees go “WOW!” Let us show you how it can work for you! Tell us your needs and we will give you plenty of options. Formal, Fun, Conservative or Out-of-the- Box Crazy….or some combination, we can bring a fresh experience that people respond to and that will leave a lasting impression.